Growers Alliance member: From 1928 to present, our company has seen both good and tough times. We hope that every product we grow and sell shows the level of commitment that Albin Hagstrom and his son Raiford, Sr. put into every spray of foliage. Now into our fourth generation, we look to the future and are hopeful that this website can be a vehicle to educate and expand the knowledge of our customers on the broad range of greenery available. Continental Floral Greens was founded in San Antonio, Texas in 1954. Larson and Nuria Everett selected this location as the gateway to the U.S. Floral markets for Latin American greenery (Comador) and as a home for their expanding family. Starting with air and bus service, they later added tractor/trailer deliveries and other distribution locations to serve their growing customer base. Growers Alliance member: Quality, Variety and Innovation make our products truly different! From Bulk Foliage from around the world to ColorFresh Foliage to Fabulous Foliage Bouquets – FernTrust has the answer to help you sell more! Check out John A. Puckett’s Facebook Page! We offer quality greens at a reasonable price. We also specialize in custom mixed boxes! We have several mixes to choose from or you can mix it up yourself! 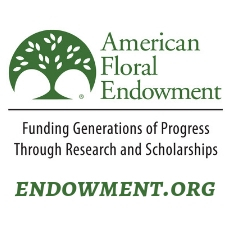 Growers Alliance member: Since 1970, Lynn-Dale Ferneries has been serving the floral industry. We take a lot of pride in saying we have been in business for 35 years. Lynn-Dale is a family owned business that is named after Lynn and Dale Puckett. A husband and wife team that have been married just as long as they have been in business. Growers Alliance member: Since 1958, Ronald Jones Ferneries has supplied our customers with the most superior cut foliage available anywhere in the world, because we understand that your reputation depends on our commitment to the highest quality and standards. Located?in Miami we’ve been distributing and importing greens and floral foliage since 1990 through the leadership of our founder, Clemente A. Quinones. In the past few years we’ve added flowers to our inventory allowing our customers a one stop shop for all their needs. Only a stone’s throw from the cargo section of Miami International Airport, the Port of Miami, U.S. Customs and Department of Agriculture, our products are always fresh when our customers receive them. And we’re perfectly positioned in the middle of most of the premier carriers in the floral industry ensuring our ability to deliver to your specific logistics company. U.S. Greens Corp. 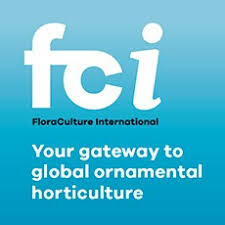 Established in 1988 has positioned itself as the premier grower and distributor of decorative cut greens and specialty flowers. With a fully trained staff, state of the art coolers and a modern fleet of refrigerated trucks we help maintain the quality and freshness of our products from our fields to your doors. Our distribution center is located within close proximity to Miami International Airport, The Port of Miami and the Major Floral Trucking Lines. We offer a selection of products exceeding 100 different varieties with farms in 5 different states and 7 different countries which include Guatemala, Peru, Costa Rica, Columbia, Italy, Israel and Australia. Whatever your needs may be in floral cut greens consider us your one stop shop.